Looking to become a Source Atlantic customer? Complete an account opening application form today. 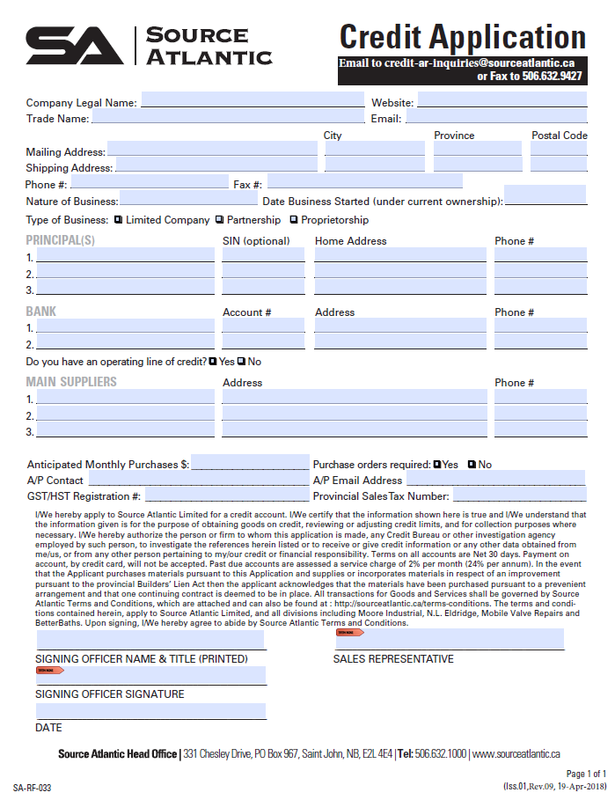 Download the form, available in PDF format and send it back to us by fax at 506.632.9427 or email.